Quietly Saving - "Quietly saving & investing for FIRE (Financial Independence / Retire Early)"Quietly Saving | "Quietly saving & investing for FIRE (Financial Independence / Retire Early)"	Quietly Saving - "Quietly saving & investing for FIRE (Financial Independence / Retire Early)"
Back in May 2018, I invested in Freetrade, a new stockbroker app, via CrowdCube. It went on to become the most over-funded equity offering. Anyway, after what felt like the longest wait ever, the app was finally available for download for Android today – here’s the Forbes’ announcement. So, nearly a year after my crowdfunding investment, I have finally been able to download the app (after initially taking part in their beta-test). IOS users have been using the app since October so yes, I’ve been (im)patiently waiting all this time to try it out. What can I say, except that I can’t describe the feeling of being able to buy very small amounts of shares without being charged a trading fee! The app is slick, responsive, simple yet aesthetically pleasing. How will Freetrade make Money? It operates a freemium business model, which anyone who plays ‘free’ games on their phones will be familiar with – you get a great basic app for free but if you want some bells and whistles, there’s a small cost. In Freetrade’s case, basic buy/sell trades are all bunched together and executed for free at around 4pm on a working day. Great for someone like me who’s not bothered about price or timing the market. However, if you want to buy/sell immediately, it costs a £1. For people used to paying £10-£12 per execution, this is a huge difference. Hell, I might even be tempted to part with the odd £1 occasionally for a quick sale/purchase! Current pricing can be viewed here. At some point, Alpha accounts will be introduced, for a monthly fee, providing discount on instant trades and other services. One of the reasons I’m more of a passive investor is because with conventional brokers, actively trading too much adds to high costs, eating into my gains. These free trades or low fee trades are kind of dangerous. How so? The free/low cost trading might actually encourage some to over-trade, tempting people to buy/sell on a whim. Or not. I guess it depends on what type of investor you are. At the end of the day, no big fees when you want to re-balance your portfolio or want to take advantage of some low prices, so definitely a win. 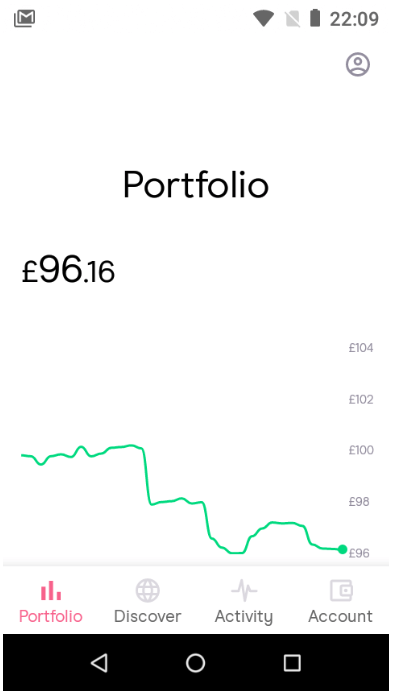 I think this app might well change the way I invest – previously, I waited for dividends to accumulate up to a minimum of £100 before I reinvested once a month (using my platform’s £1.50 regular investing facility). With Freetrade, I will be able to invest when there’s just a few quid of dividend cash in the account, so my cash in the account will be invested a lot quicker. Apologies that my cheap Android phone doesn’t do the app any justice in the screenshots as it’s only got a small screen. You might get a better view of the screens here. At the time of writing, ISAs were availabe for IOS users, priced at a fixed £3 per month (from July 2019 – it’s currently free). ISAs should be available for Android users from next month and I will be setting up my 2019/20 ISA with them to see how it goes. I’m not sure if ISAs can be transferred just yet but it’s definitely in the pipeline. At the moment, the choice of investments is nowhere near what you have available with say Hargreaves Lansdown, but pretty much all of the FTSE100 is available, much of the FTSE 250, many ETFs, a few investment trusts and also numerous US shares – FANG stocks anyone? 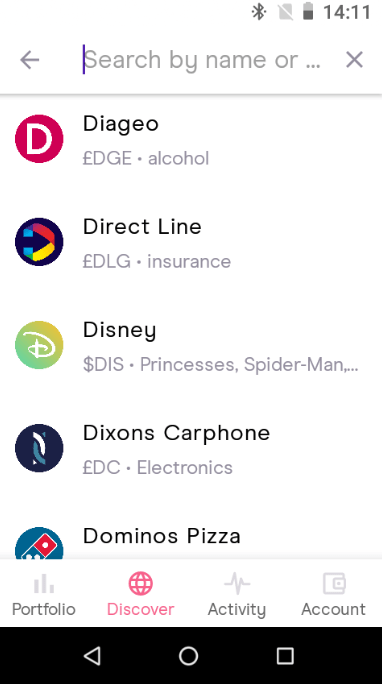 New stocks are being added all the time (albeit slowly) while the team concentrate on continuing to improve the app. At the moment, the only way to top up my Freetrade account is by bank transfer (you have to link a bank account to the app). Top up via Apple Pay is available for iPhone users and I believe other methods of topping up will be added in time. So it’s not as handy as topping up via debit card which I’m able to do right now with my other platforms, but it’s no great inconvenience doing the bank transfer. Google Play store is showing a load of one star reviews, received when the company made the decision a few months back to allow the app to be downloaded, only to place the people in a queue. For people who read the blurb and were expecting this, fine; for those who didn’t and were expecting a fully working model, they one-starred it. Hopefully, there will now be better (and more accurate) reviews now that the fully-working model has been delivered. Apparently, there have been over 20k downloads already. 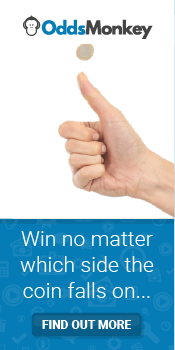 There is still plenty of scope for improvement and the Freetrade team continue to work on the development of the app to incorporate functionalities we’ve become used to with other brokers (eg ISA transfers, SIPPs etc) and other functions, such as being able to buy fractions of shares (US only). Here is their open product roadmap, documenting what they are working on. I’ve not tried to do any research of stocks or other investments on the app – right now, I prefer to do my research from other websites, so improving this area isn’t a biggie for me but some users have mentioned that there wasn’t enough research/news material. All in good time, I guess. One thing I’m really looking forward to doing is ultimately having my Dogs of the FTSE portfolio on here as it will be the perfect platform to run the experimental portfolio. I might even reconsider doing another Monkey Stocks portfolio – let me have a think about that! Another thing I’m interested in, is seeing Freetrade added to Monevator’s broker comparison table – if I were a gambling woman, I’d put money on Freetrade being the cheapest! 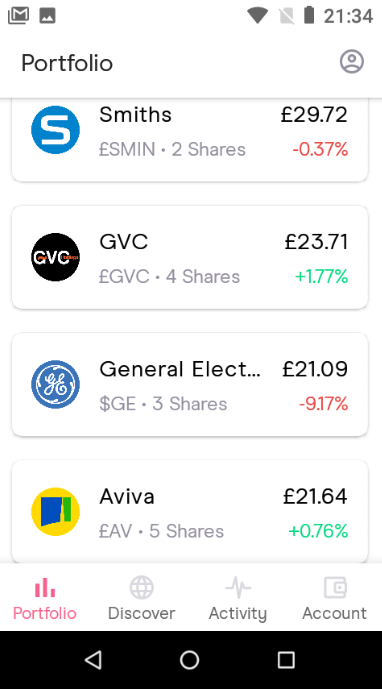 Anyway, with Freetrade being FCA registered and investments being covered by the FSCS, I can’t wait to continue to build my portfolio using this app. Anyway, it’s been a blur of a month, one which saw me working some late nights, binge-watching seasons 2 & 3 of ‘The Expanse’ and also enjoying a few social outings, including meeting up with fellow FIRE wannabees in Manchester. One piece of good news at work was that I received a partial bonus, so how did that affect my savings this month? I decided to chuck the whole bonus into my ISA so I ended up saving 64%. 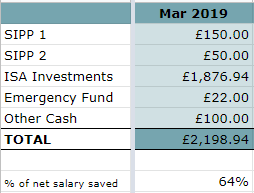 There’s no way I can max my ISA (I’ve only ever done this once before) and with a few days to go in the tax year, I’m trying to work out how much of my emergency and matched betting funds I can safely shift over, without leaving me short. The above savings includes top ups from my £25 premium bond win, £14.35 from TopCashback*, £100 matched betting profit (from last month) and £87.59 affiliate income from OddsMonkey (thank you to all who signed up via my links!). I guess the markets are still going up as my Future Fund has grown by more than the capital I’ve invested, now sitting at £158,763. Been seeing a few blog posts recently talking about how boring aiming for FIRE is, especially when things are on autopilot. Spend less than you earn, invest the rest in index trackers, rinse and repeat until you reach your goal. Blah blah blah, yawn. 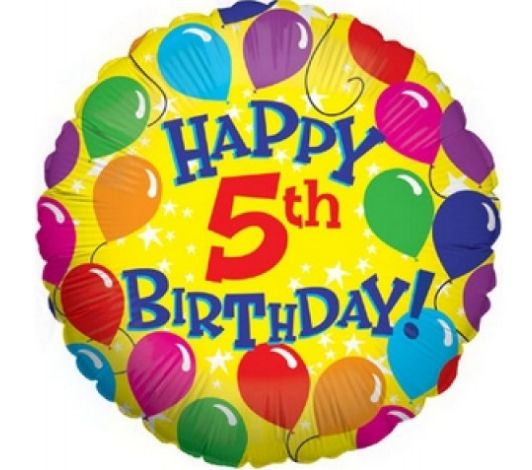 Well, this month marks FIVE years since I started blogging about my journey to FIRE and I can’t say that I’m bored….yet. Neither am I bored with tracking my own progress – I started this blog as a personal journal just so that I know how I’m doing versus my goals. Perhaps one reason for not being bored is because not everything is on autopilot for me – my expenses can vary each month, depending on time of year, my holidays and my social life. I do consciously have to think about my spending, otherwise it could easily go out of control. By ‘out of control’, I don’t mean going into debt (I don’t want to go there again!) but by not saving/investing as much as I can and should. Writing about my investing ‘experiments’ (eg Dogs of the FTSE) also keeps me interested in my investments, when the majority of it is in ‘boring’ passive index trackers. Another reason is that I still mostly enjoy updating my blog. I don’t think blogging has gotten any easier over the years but I’m still able to make time for it so it’s a hobby I enjoy doing.